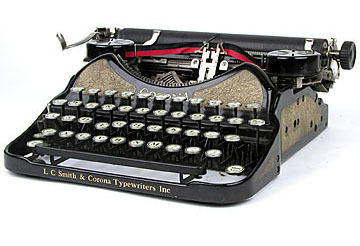 The typewriter that launched a thousand typists! 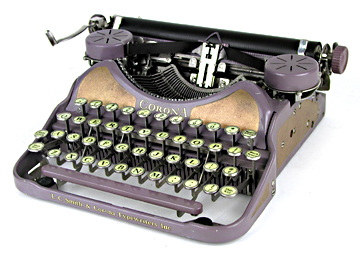 The Corona 4 burst onto the market in 1924 as Corona's first 4-row keyboard portable that fit into a case without folding the carriage. 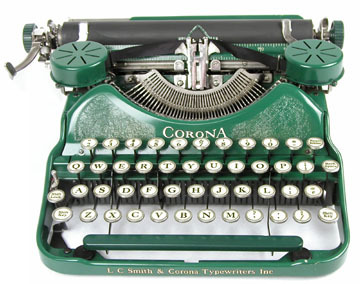 This model was tremendously popular; Corona claimed that this portable was responsible for a huge breakthrough in typewriter sales, increasing by fifty times the individuals using typewriters. 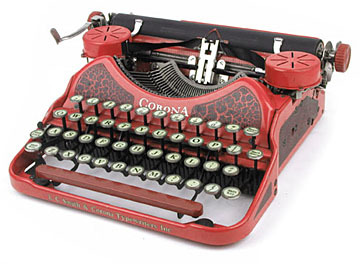 The Corona Company then underwent a merger during this machine's heyday, joining with the office machine maker L.C. Smith Bros. to eventually become Smith-Corona. The No. 4 came in many attractive colors in addition to the classic black enamel. One Corona ad featured the No. 4 in a series of six "Duco" colors, which included lavender, light maroon, channel blue, mountain ash scarlet, cream, and spruce green. Your Price: Sorry, this item is currently out of stock.